The first National Festival of Making took place in Blackburn in May 2017. 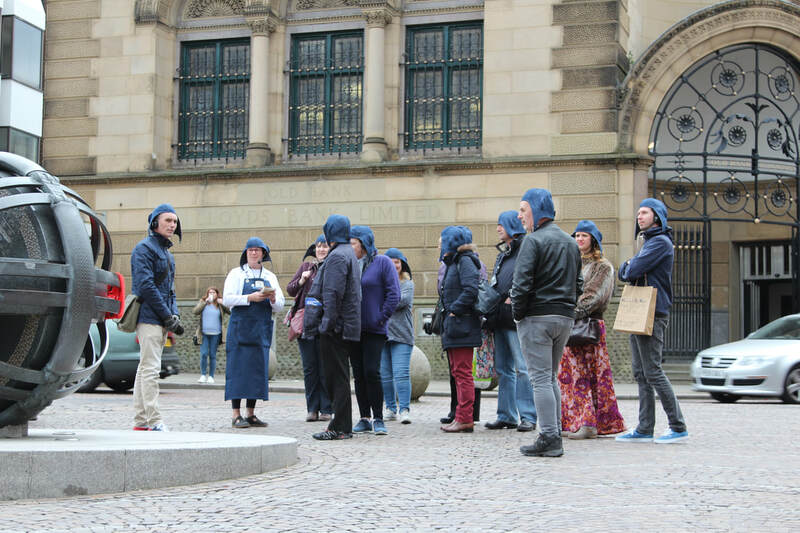 The keystone creative programme for the festival, Art in Manufacturing, engaged ten artists to work directly with local manufacturers to explore and focus on their history and heritage to create works that directly engaged the public during the festival weekend. I was delighted to be commissioned to work with Cookson & Clegg, who since 2015 have been owned by Patrick Grant. Through detailed research I discovered new information about the early leather working business to add to the story of this long standing Blackburn clothing manufacturer. 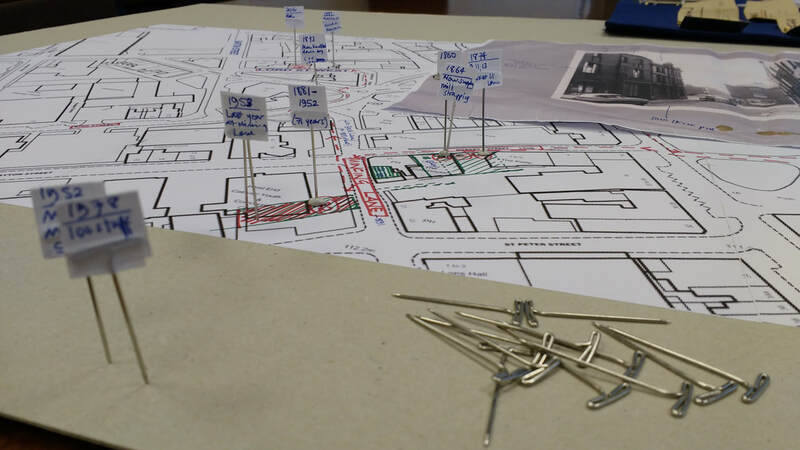 It also became evident that the story of the company is so strongly rooted in the physical place of Blackburn that an imperative grew; to find a way to connect those significant spaces and thread them together into something that others could engage. 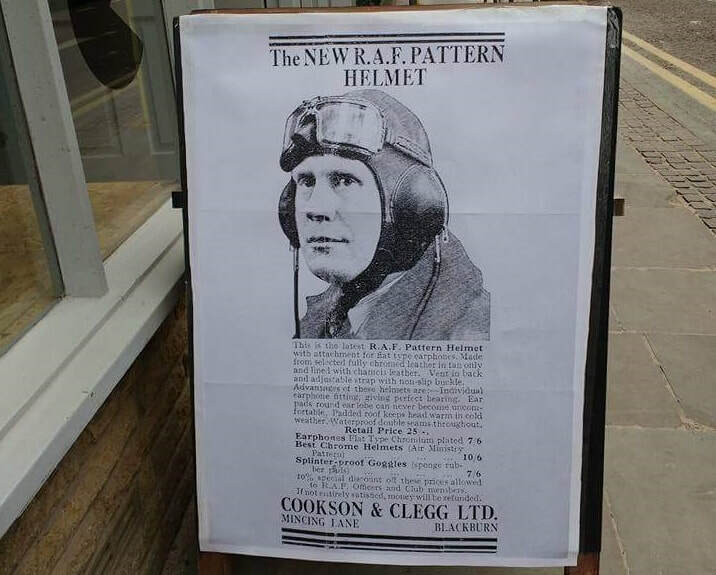 Enticed by a company advert from 1939 for leather flying hats for the RAF, I worked closely with the factory design and development team to re-create the hat with a modern twist, using denim. These, alongside the rich story of the place formed a unique walking tour of Blackburn, visiting the spaces of Cookson & Clegg throughout the years. This short video tells you more: click here. 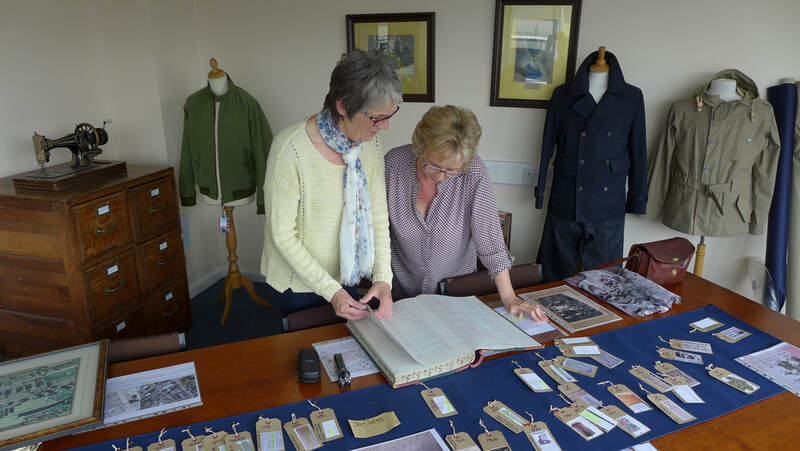 The festival weekend was enhanced with oral histories recorded with employees and the last shoemaker in Blackburn which could be listened to, curiously delivered through garment sleeves. Visitors could also view a display of objects which connected to the oral histories and walks. The guided 'flying hat' walks were also re-created for the Fabrications Festival, with a new starting point of the fabulous industrial textiles machines at Blackburn Museum and a look at the leather belting which kept industrial Blackburn turning, reflecting on the leather working beginnings of Cookson & Clegg's long and rich history in this town.